Oakville Nutritionist and Certified Professional Cancer Coach, Maha Nasr, can help you cope with a cancer diagnosis, rebuild your immune system and increase chances of survival using diet, lifestyle and other natural immune-enhancing approaches. Do you feel overwhelmed, scared and shocked by a cancer diagnosis? Are you worried about the possible side effects of conventional treatments and not sure what to expect? Do you want to maximize your chances of survival and avoid recurrence after treatment? Are you wondering about the best anti-cancer diet, natural supplements and lifestyle practices to help you rebuild your health and boost immunity? We understand that cancer is a serious disease and a cancer diagnosis is scary. But we also truly believe that there is a lot that you can do to naturally support your body to heal and maximize your chances of recovery. We will also empower you to confidently and easily embrace an enjoyable natural diet and lifestyle to nourish and support your body, mind and soul. Our goal is to help you thrive not only survive with cancer and to pass through your healing journey with inner strength, optimism and so much hope. Our “5 Step Holistic Cancer Support Programs” can help you cope with conventional cancer treatments, reduce unwanted side effects and improve your quality of life. We focus on bringing back balance into the body and strengthening the immune system while holding a positive attitude that can support your healing and recovery. What makes our “5 Step Holistic Cancer Support Programs” unique? Holistic-use natural and safe ways to support you on the physical, mental and emotional levels. Science-Based-backed by the latest research in the field of anti-cancer nutrition and lifestyle. Personalized-all our recommendations are custom tailored for you and take into consideration your specific diagnosis, health condition and any treatment you are undergoing. Tried and Tested-clients who have tried our 5 step approach were so satisfied with the results and usually send us referrals and nice words of gratitude and appreciation. Why work with our Oakville nutritionist and certified cancer coach Maha Nasr? Our Oakville nutritionist and certified cancer coach Maha Nasr will help you to embrace a natural lifestyle that can improve your health but is not intended to replace medical advice. Be empowered by contributing in your own healing as well, learning better communication with your doctor and correct interpretation of your medical test results. Get enlightened about possible underlying risk factors and unwanted side effects of treatments and how to avoid or minimize them. Feel supported by having expert guidance that can save you much time, pain and confusion by offering trusted advice about anti-cancer nutrition, lifestyle and other natural immune-enhancing approaches. Overcome possible Challenges that might come up along the road such as long-term complications of cancer treatments that increase toxic load and weaken your body systems. Stay hopeful about what’s possible for you when you give your body the right physical, mental and emotional support it needs for recovery. How our Oakville nutritionist and certified cancer coach can help you? Help you to reduce unwanted side effects through specific anti-cancer nutrition and lifestyle principles. 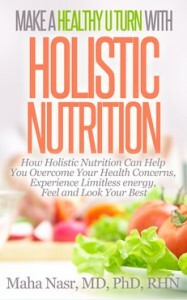 Provide you with detailed cancer-fighting nutrition guidelines and diet that nourishes and strengthens your body. Address any nutrient deficiencies that can increase your risk for cancer and prevent recovery. Take into consideration the nutritional challenges imposed by different treatment options i.e. surgery, chemo or radio. Mitigating the dangerous side effects of conventional treatments and preventing long term complications. Attaining a positive mind-set and energy state that is critical for emotional/mental balance and full recovery. Life's challenges are not supposed to paralyze you, they`re supposed to help you discover who you are. We assess your health condition, nutrient intake and lifestyle to identify any possible underlying body system imbalance, deficiencies and risk factors. This step helps us to customize your plan accordingly. You will get Preparation recommendations and informational handouts to get you started right away. We will provide you with personalized anti-cancer nutrition diet and supplement protocol based on your treatment stage and health requirements. This will help to replenish essential nutrients that encourage tissue healing and repair. To help eliminate harmful toxins and irritant foods that trigger inflammation and suppress the immune system. We will also encourage an alkaline internal environment that’s inhospitable for cancer growth and that promotes healing and recovery..
To help you reduce stress, optimize sleep and physical activity and create a home environment that supports total well-being and healing. Healthy lifestyle habits will accelerate healing and ensure long-term results. 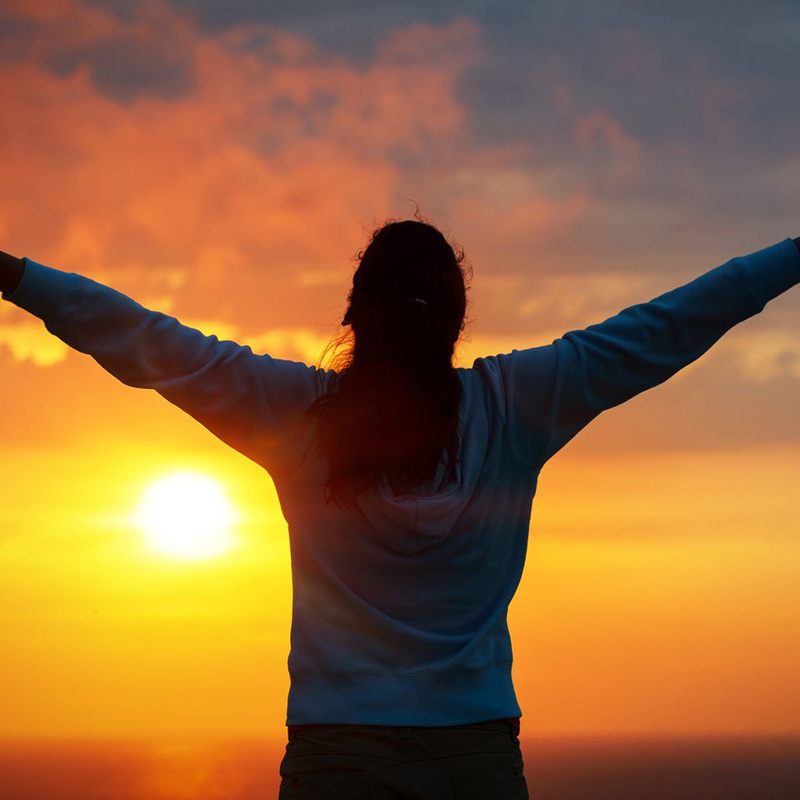 We help you deal with spiritual and emotional issues by tuning into your body and strengthening your mind-body connection in order to attain a positive energy state that is critical for recovery of the physical body. This Program is available both in person and via phone or Skype and is around 20-24 weeks in duration.Best for: Before and During Treatment Support-Helps to maximize chances of recovery & minimize side effects of treatment. BONUS: Life-time 10% discount on subsequent follow up sessions if needed after the end of the program. YOUR PRICE: $2,775+tax $1,497+tax OR 4 monthly payments of $ 397+tax. This Program is available both in person and via phone or Skype and is around 10-12 weeks in duration.Best for: After Treatment Support- Helps to Prevent Recurrence and deal with late side effects of treatment. YOUR PRICE: $2,050+tax $1,097+tax OR 3 monthly payments of $397+tax. Maha is an intelligent and well educated health professional. I am confident in Maha's skills as a professional cancer coach and nutritionist. Would highly recommend those interested in integrative medicine to contact Maha for her guidance and expertise. It was Hippocrates, the father of medicine, who said 'Let food be thy medicine and medicine be thy food.' Dr. Nasr understands this intrinsically and has shown me that holistic nutrition is fundamental to my health and wellness. I came to her a couple months ago with a diagnosis of breast cancer. 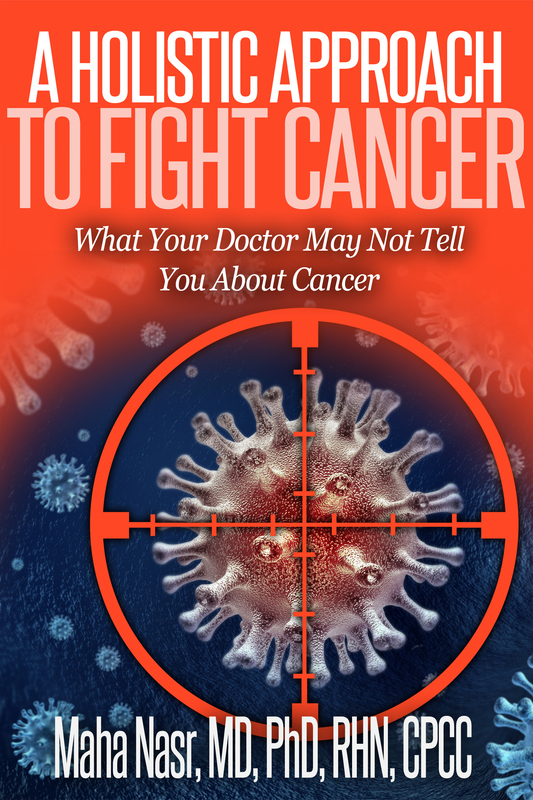 She gave me a comprehensive overview of cancer-fighting foods and good sources of nutrition, and a detailed wellness plan designed just for me. This plan has improved my health, energy and attitude towards life. I am feeling better every day because of Dr. Nasr, and I would wholeheartedly recommend her to anyone who wants to improve their health through a holistic approach. I reached out to Dr Maha after being diagnosed with stage IV breast cancer, totally dis functional and weak with tremendous anxiety and fear was looking for someone to assist me during my chemotherapy and tell me what to do after to avoid recurrence . As a certified cancer coach, Dr Maha was already aware with my sufferings, she skillfully and professionally accommodated my condition, coached me closely with attention to even the smallest detail and helped me regain again my sense of security . She was patient, very conscientious and knowledgeable answering all my questions whilst phasing out a complete change in my life. With her expertise and compassionate care my recovery was smooth and I regained my strength and well being in a very short period of time . Today I follow her protocol and feel that I am on a safe track . Thank you Dr Maha for your sincere dedication and patience . I strongly recommend her to anyone diagnosed with cancer as her coaching is exceptionally valuable to the recovery journey. Maha gave me a wealth of options for cancer support from nutritional guidelines to help remove toxins from my body and make my body more alkaline, which help in fighting cancer, to mind-body techniques like visualization and meditation. She has gathered all possible information on nutritional, environmental, mental, spiritual and lifestyle factors in fighting cancer and giving treatments the best chance to work effectively. She is providing a tremendous service to cancer patients. For more information and to discuss your concerns, book a Clarity Call with Registered Holistic Nutritionist and Certified Cancer Coach, Maha Nasr!